Home / Blogger DMCA / Blogger Tips / Copied Content / Why You Should Avoid Copying Content From Other Website. 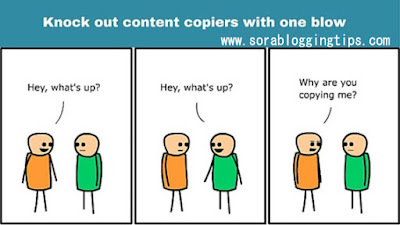 Why You Should Avoid Copying Content From Other Website. Copying contents from other websites is not a good idea. Nowadays blogosphere world is groom up with rapid and fast speed. Most of the people want to enter into an online internet world. Many people invest their money in online internet business because it is most convenient and reliable business and many people also learn a lot. Blogging is one of the best methods of business to earn money. Through various ideas and research one can run a blogger business and it is also not very difficult to run the blogger business online, but for that you should work hard, otherwise you will not successfully run a blogger website. Newbies are doing a lot of mistakes and the reason for those mistakes is that they do not know enough about blogging. But the most common reason for that mistakes is they are copying contents from other websites and copying contents from other websites is a very poor idea. Most of these beginners are doing the same mistakes of copying contents. In fact when I was starting a blogger I have done the same mistake. Following are some reasons that every newbie and you should avoid copying contents from other websites. To avoid stealing contents we are starting the series regarding copying contents in the blogosphere world. We’re starting the series about the content stealing in the blogosphere. Through this series you will learn how to avoid copying contents and why you should avoid copying contents as this series contain some informative parts which will help you out understanding this issue. This article help you out to find the stealer if your blog contents have been stolen and guide you how to protect your blog content from being copied as well as how you can file a report to DMCA online . DMCA online is a copyright violation website which help us to file the copyright issue if occur. Following are the series of copyright content violation. Step 1: Why We Should Avoid Stealing Or Copying Content From Other Websites Or Blog? Step 2: How We Protect Our Blog Content From Being Stolen Or Copied? Step 3: Find Out The Thieves Or Stolen Person Of Your Blog. Step 4: How To Get Rid Of The Thieves Of Your Blog? Step 5: How To File An Online Complaint To DMCA Google For Copyright Issue. Blogger always keep some benefits in mind that either the work is long term or not. Benefits revolve around the quality of work. If the blog is unique and original then it will attract the reader automatically, but if the blog contains some copyrighted violation then the DMCA system will attacked automatically by deleting the blogs. It means that if the blog contain any illegal content then it will give a short term benefit to their owner. Copying Content Is Not Legal! In the international law copyright content is illegal. People have no right to violate the right of others. Stealing content is also a violation. We do not have any right to re-publish other blogs content as law does not allow doing such acts. You Will Be Hit By DMCA And Search Engine Optimization! In the starting you will be getting good traffic from search engine optimization and from other sources but it will not be able to stay for a long period. SEO have many algorithms which detect that either the blog is original or it may have some copied content. And if it is confirmed that your blog is not original then your blog will removed by DMCA and the original owner will catch you soon with the help of some tools. You Will Be Catch By Losing Respect And Fame By Your Readers! First impression is a last impression. This is a very famous quote. Blogging is a kind of expression between the reader and the writer. If the readers catch that your blog is full of copied content then you will lose your respect and fame in the eye of the reader which will affect your reputation in the online business world or blogosphere world. DMCA Have A Right To Delete Your Blog – For Blogger.com Users! Blog is hosted by blogger.com and if your blogger is hosted by this system it means that DMCA will manage your blog and DMCA have a right to easily remove your article if it will include any copied content. DMCA is owned by Google & Google hates the duplicate content. You can easily complain DMCA if your blog is being copied by some thieve content writers. DMCA System will loudge your complain and after sometime copied article will be deleted. Copy Paste Trick Should Be Avoided In Blogging! 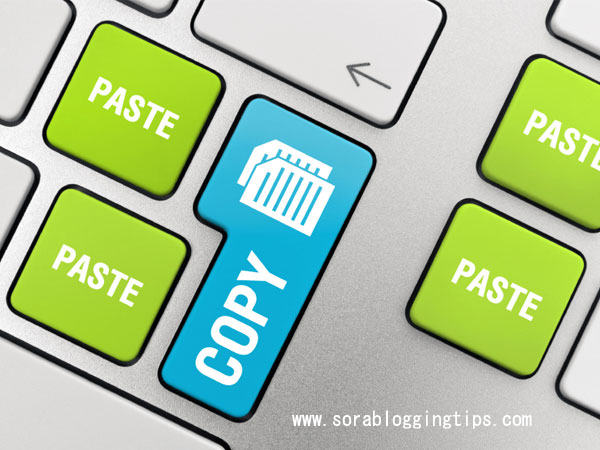 Blogging is not a game of copy paste. I would like to explain you in the conclusion of this article that DMCA is a copyright content violation which is owned by Google. If your blog have stolen or copied content then DMCA and Search engine optimization will take a strict action and sometimes they will attack to your website. So in order to maintain a good record of your website you should work hard to write a unique and informative blog. And for this you will need patience, time to think in a proper manner and some useful skills to build up a prosperous blog. Nowadays a blogosphere world is growing up with huge speed so it is very clear that most of the people choose internet business as their profession. I would also like to tell you some earning and employment method through blogosphere series which require good writing skills and it should be necessary that the content is free from copyright content. The best way to get rid of stealing and thieves content, you should try to build your own blog. Unique blog attracts the reader most and it also brings benefits to the owner of the website. So friends, these are some valid reasons which should be understood by every copy paste blogger or thieve blogger and it should be necessarily follow by the blogger. 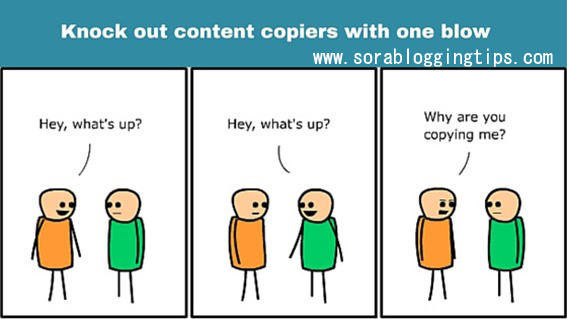 Copying content is not a good habit at all specially for the blogger. You should stop doing this illegal work as soon as possible and try to write your own blog contents. I hope that this article will help you lot if you are one of them and also those people who have a habit to write steal content as it will violate the right of others. People writes their blog with keen interest and hard work and the thieve bloggers steal their writing material for their illegal benefits. So friends, be careful during writing a blogs otherwise you will bear a huge loss and you are wholly solely responsible for that loss. You should avoid copying in any situation, its better that you write it in your words.